Full disclosure? I avoided slime for a long time. My son brought the first batch home from a homeschool co-op kindergarten class. I knew I was in trouble when it spent the night in it’s little container right next to his pillow. He followed every instruction I gave him and only took it out on a place mat I provided. He was in love. He followed every rule. He was not about to have to give up his precious slime. 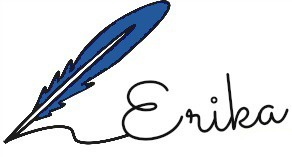 I was torn. Slime? It’s kind of weird and nasty. I think slime and I think snails, slugs, and things I need to clean off the bathroom floor. 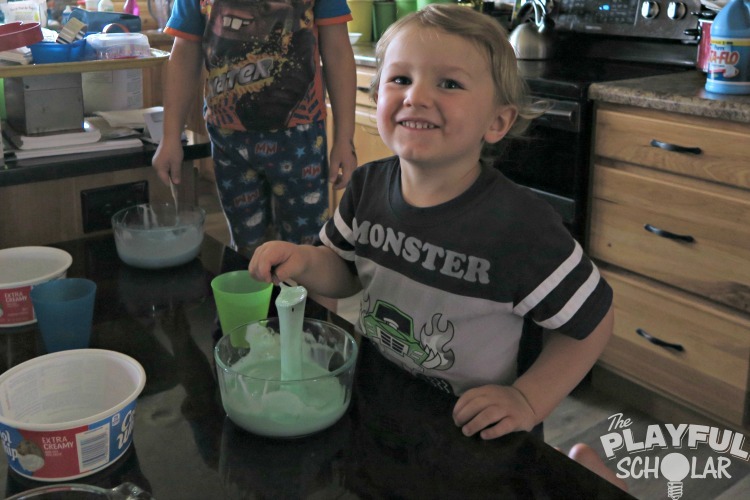 My kids apparently think “woohoo!” Needless to say the joy on their faces won me over and we have ventured into the world of slime. 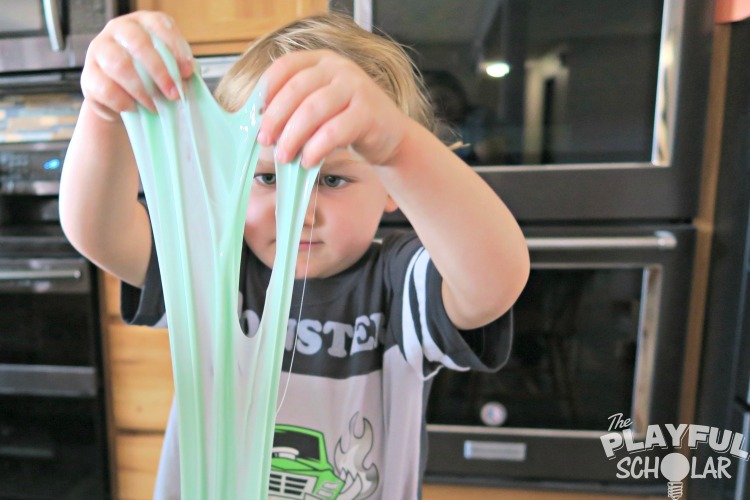 Ready to venture into the brave world of slime? This is a gentle recipe. Don’t worry, I’ll hold your hand the whole way. Here we go! Building skills in physical science and scientific reasoning. Mix ingredients together in a bowl until mixture pulls away from the bowl edges. 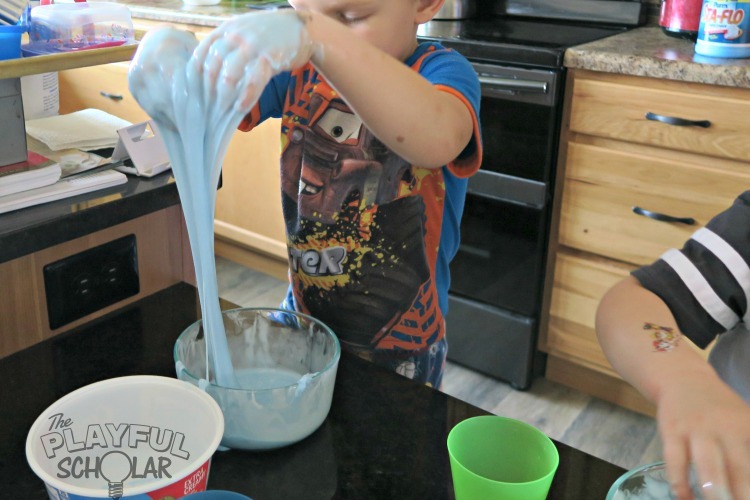 If the slime is too sticky, add liquid starch one spoonful at a time to reach desired consistency. 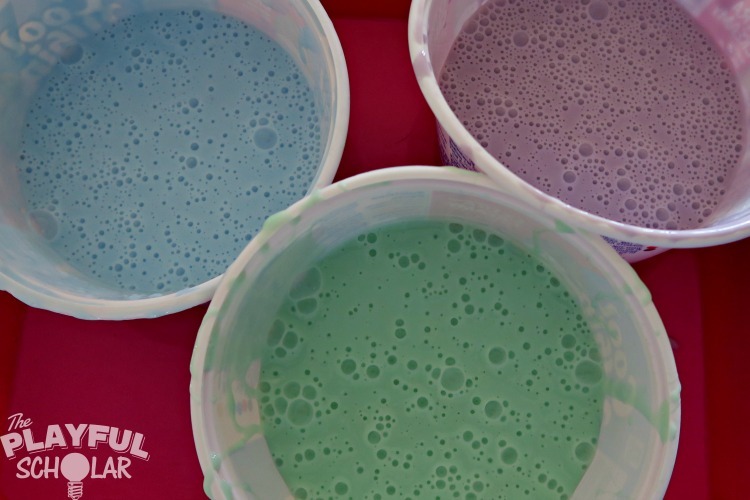 Repeat steps to make a different-colored batch. 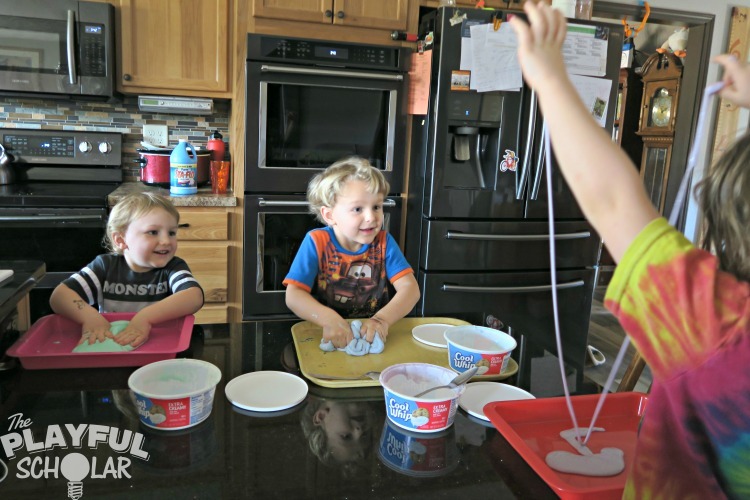 If materials are unavailable, set out two colors of playdough for children to explore. 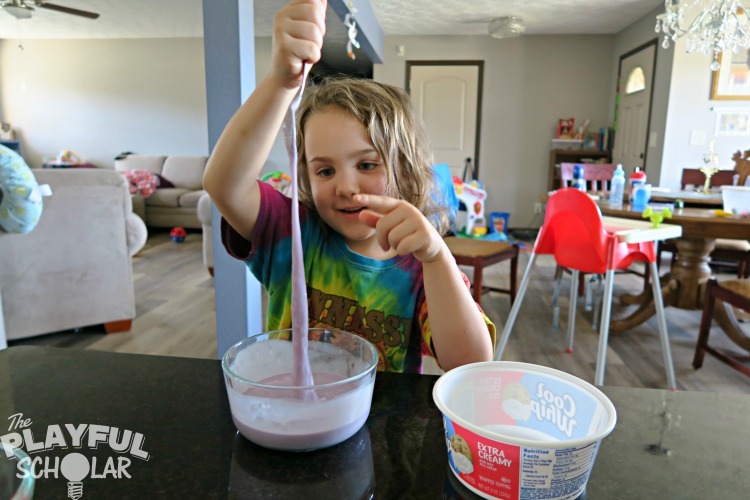 What happens when you twist both colors of slime together? 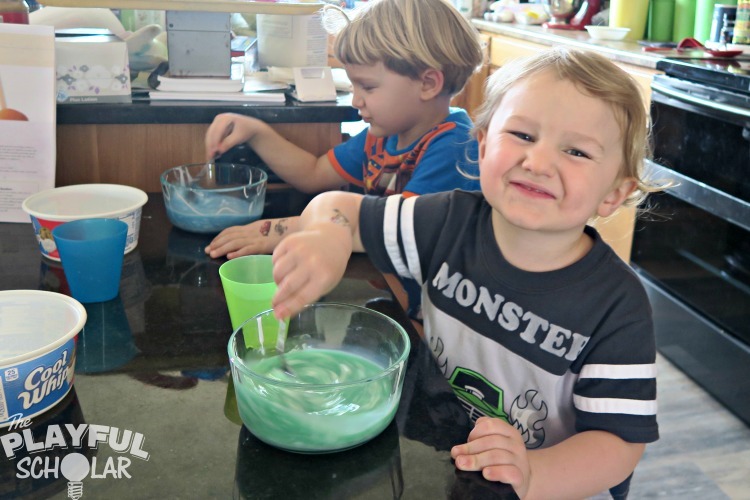 Can you make a pattern with the slime? mostly hand prints We also used a fork to make pretend animal tracks. 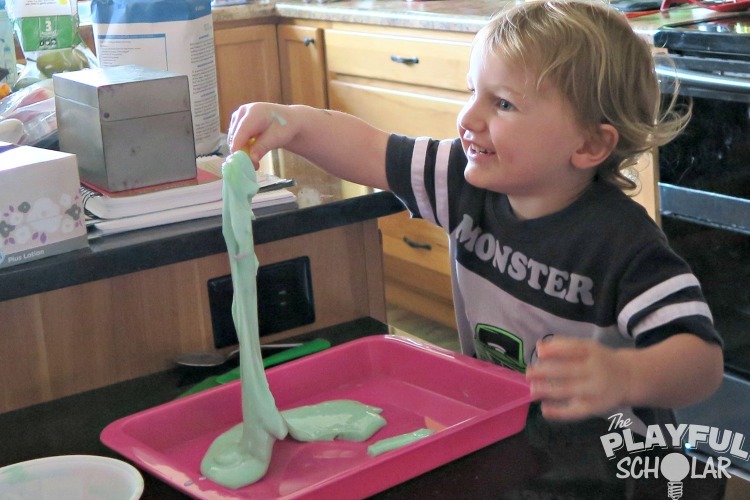 What happens when you stretch the slime? 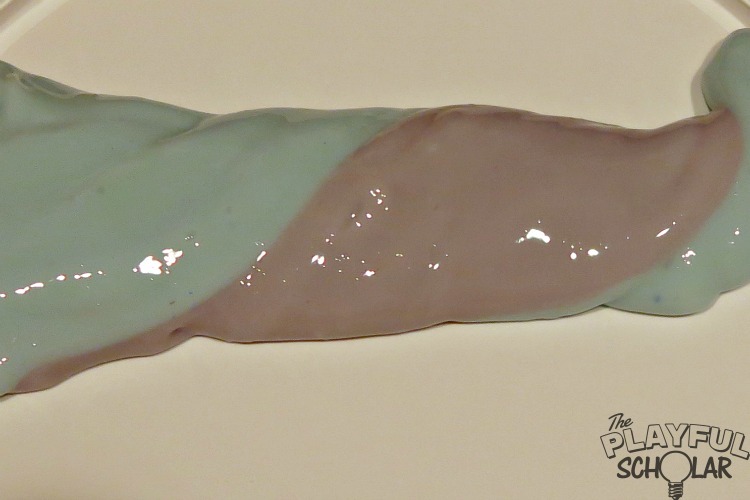 Disclosure: This slime is crazy stretchy. She can stand on the chair and it will reach from her head to the table without breaking. Can things get lost inside the slime? 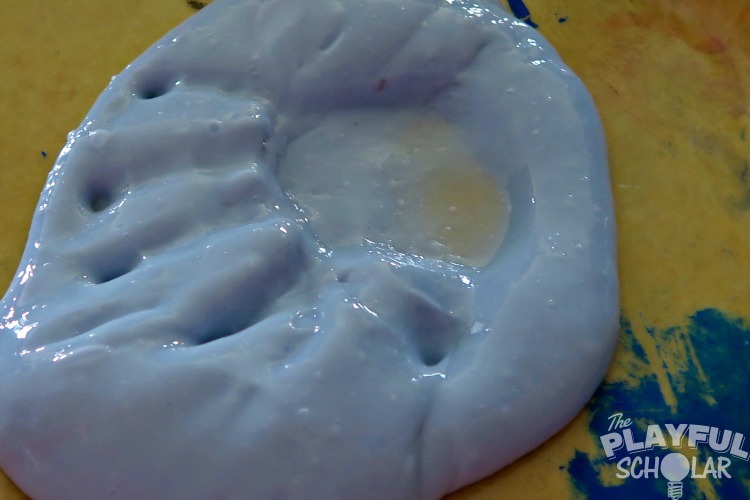 Mix the glue, water, and food coloring first, it’s easier to stir. Since the liquid starch is your thickening agent and the most exciting, add it last. You will likely need closer to 1/2 cup of liquid starch. A 4-oz, small container of school glue is exactly 1/2 cup of glue. Using primary food colors to make secondary colors is super fun (red + blue = purple, etc.). If you need to wash your hands to get the slime off, you need to add more liquid starch. If after adding the liquid starch you let the mixture rest in a dry container for five minutes, it will be easier to knead. The bubbles are just trapped air. Kneading will get rid of them. This slime can be kept in a closed container and will stay good for a few weeks. Mother Goose Time offers a whole range of STEAM Stations for each month. If you aren’t familiar with STEAM, those are activities and projects focused on Science, Technology, Engineering, Art, and Mathematics. The inspiration behind these types of activities is that with our future constantly changing our children have to be prepared to think out of the box and work in careers we haven’t even imagined with tools that haven’t even been invented yet. Mother Goose Time provides five suggestions for every week of the program. 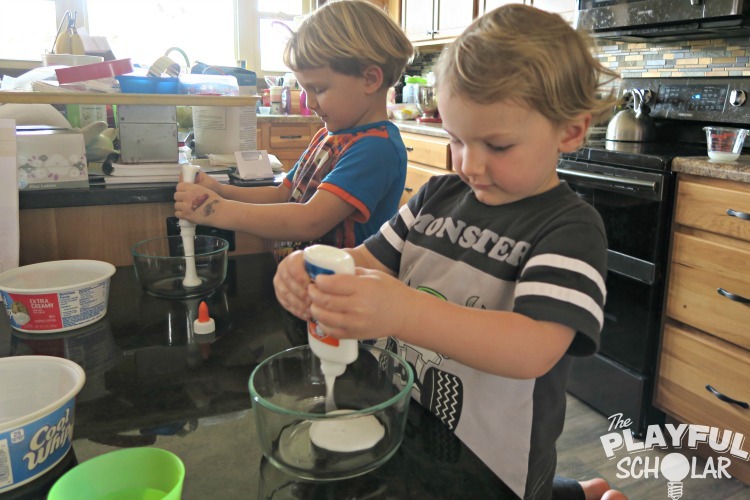 Included are suggestions for sensory, blocks, science and nature, dramatic play, and outside discovery stations. These tools are a great way to get our preschoolers off to a great start! Plus, they are so fun!